Upper Deck's plans for the 2015 San Diego Comic-Con include some exclusive cards and an a free autograph signing promoting a new entertainment license. 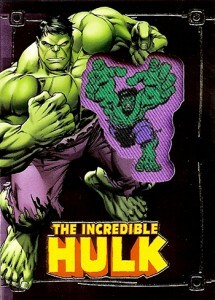 For card collectors, there's a set of Avengers Embedded Patch cards. Made specifically for the show and not available elsewhere, each of the five cards includes a manufactured patch showing what the character looked like early on. 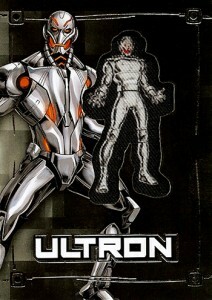 Although they're sold individually (for $20 each), those that buy a complete set get a bonus Ultron card card for free. Ultron is not available any other way. 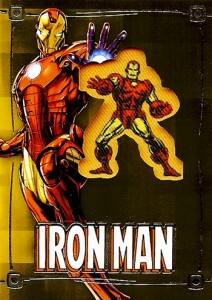 A limit of 150 sets of Avengers Embedded Patch cards will be sold each day. In addition to the cards, Upper Deck is launching a line of exclusive premium posters with an exclusive Daredevil piece. Limited to 100 copies, it has new art and is silk screen printed on heavy paper. Upper Deck has a set of Clerks trading cards coming down the pipeline. While there aren't any details on what's in the product or when to expect it, the card maker is offering a free autograph session with Brian O'Halloran. He played Dante in the indie classic that launched Kevin Smith's career. 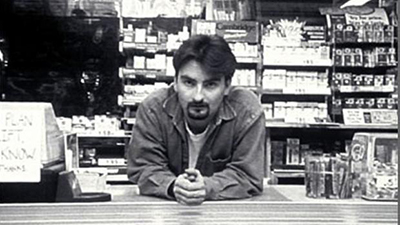 O'Halloran will be signing over-sized Clerks promo cards. The autograph session takes place on Saturday, July 11 from 1:30-3:00 PM. Hello Kitty gets five sets of limited edition dog tag-trading card combinations. Each puts the classic cat in a Comic-Con inspired role ranging from comic book artist to panel moderator to cosplayer. The cards that come with the dog tag are over-sized measuring 5x7. Each is available for $10 each and are limited to 125 copies per day. Upper Deck is at booth #307.